Chile is narrow in size but wide in possibilities. Before or after an adventure wild cruising in Chilean Patagonia, spend some time in these varied locations... 1. 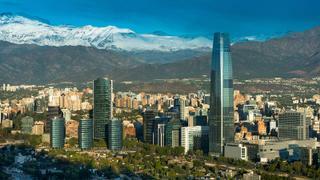 Santiago A fascinating city with European architecture, beautiful parks and a vibrant foodie scene. Stay: the Singular is a city retreat with a quirky, travel-themed lobby and large rooms. The rooftop pool and cocktail bar provide magnificent views of the hills that hug Santiago and are the best place to catch the sunset and plot your Patagonia adventure. A fascinating city with European architecture, beautiful parks and a vibrant foodie scene. Stay: the Singular is a city retreat with a quirky, travel-themed lobby and large rooms. The rooftop pool and cocktail bar provide magnificent views of the hills that hug Santiago and are the best place to catch the sunset and plot your Patagonia adventure. Chile’s wine region surrounds Santiago, producing a variety of grapes depending on the proximity to the sea and desert, making it a perfect place for wine tastings by yacht. Sip and stay: take a private tour of Santa Rita winery, wandering through the grounds and enjoying a tasting in the cellar – or extend your visit with a stay at the Casa Real, a historic private villa that has just opened as an exclusive hotel. 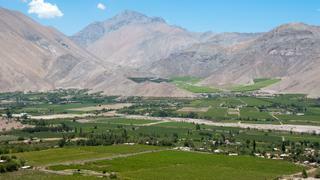 Chile’s wine region surrounds Santiago, producing a variety of grapes depending on the proximity to the sea and desert, making it a perfect place for wine tastings by yacht. Sip and stay: take a private tour of Santa Rita winery, wandering through the grounds and enjoying a tasting in the cellar – or extend your visit with a stay at the Casa Real, a historic private villa that has just opened as an exclusive hotel. This hilly town (94 hills in all) was once one of the most important ports in South America, before the Panama Canal came along. Don’t confuse the colourful, ramshackle houses for a favela – this is an artists’ haven that celebrates its run-down looks. 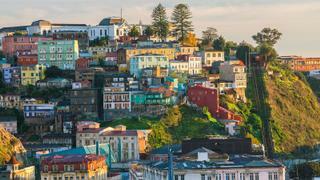 Ride the antique funiculars up the steep hills and take a tour of the city’s vivid murals. Stay: Casa Higueras is a private home transformed into a boutique hotel. It’s worth a visit even if just popping in to enjoy a meal at its exquisite Maralegre restaurant. Perched on the hillside with breathtaking views, it serves modern cuisine with highlights including ceviche of rockfish and crab cannelloni. This hilly town (94 hills in all) was once one of the most important ports in South America, before the Panama Canal came along. Don’t confuse the colourful, ramshackle houses for a favela – this is an artists’ haven that celebrates its run-down looks. Ride the antique funiculars up the steep hills and take a tour of the city’s vivid murals. Stay: Casa Higueras is a private home transformed into a boutique hotel. It’s worth a visit even if just popping in to enjoy a meal at its exquisite Maralegre restaurant. Perched on the hillside with breathtaking views, it serves modern cuisine with highlights including ceviche of rockfish and crab cannelloni. Sandboard down dunes, stargaze at observatories, hike, ride horses and bathe in hot springs scatted across the Atacama Desert, one of the most adventurous destinations to visit by superyacht. Stay: at Explora Atacama – a 50 room hotel with suites looking over the desert. 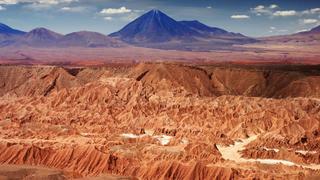 Sandboard down dunes, stargaze at observatories, hike, ride horses and bathe in hot springs scatted across the Atacama Desert, one of the most adventurous destinations to visit by superyacht. Stay: at Explora Atacama – a 50 room hotel with suites looking over the desert.